ЗАО «Биосан» является исполнителем НИОКР при поддержке Фонда содействия инновациям. dCTP solution at a concentration of 100 mM. Also available in set with dATP, dUTP, dGTP, TTP. 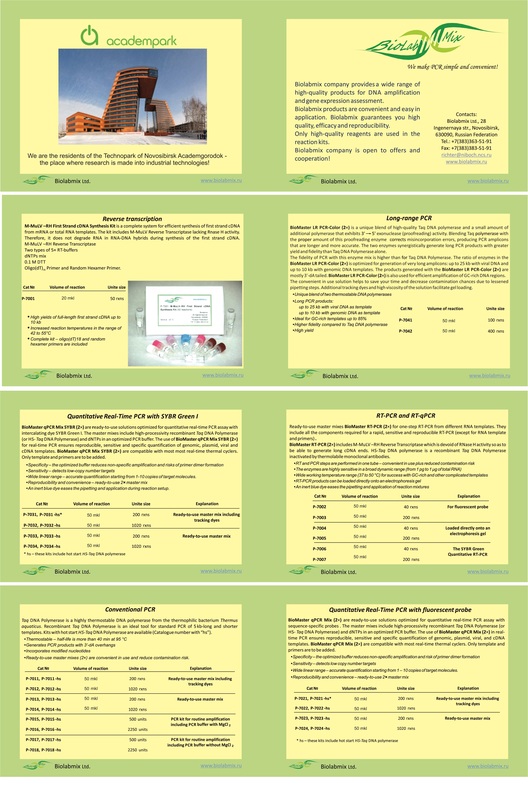 Each lot of dCTP is tested for purity ( > 98% HPLC), UV-spectral characteristics, NMR-characteristics, the performance in PCR with Taq DNA Polymerase and Pfu DNA Polymerase, the absence of deoxyendo-/exonucleases and RNase activities in appropriate tests. 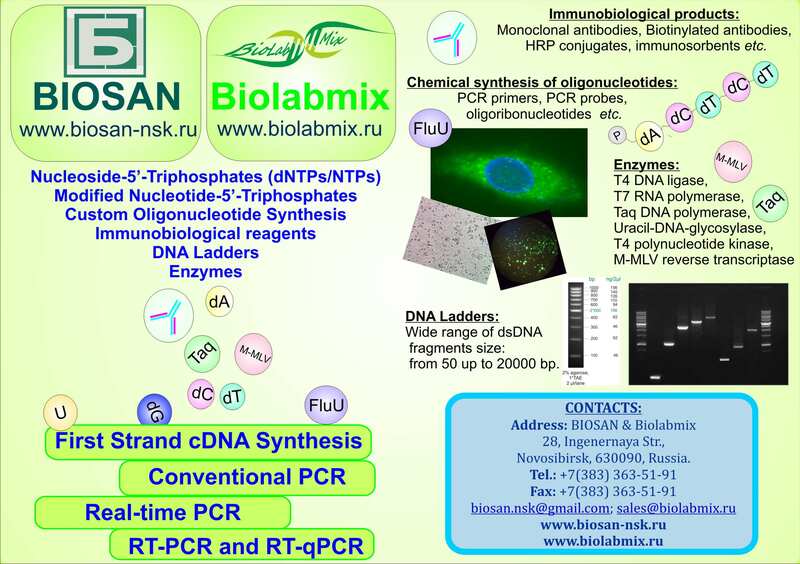 More than 25 years of successful work for you on the Russian and world market of biochemical reagents. Over the years the range of our Russian and foreign partners has grown considerably.